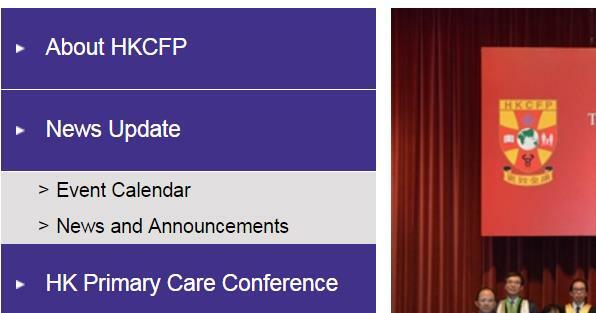 How can I register for CME lectures on the college website? i.) 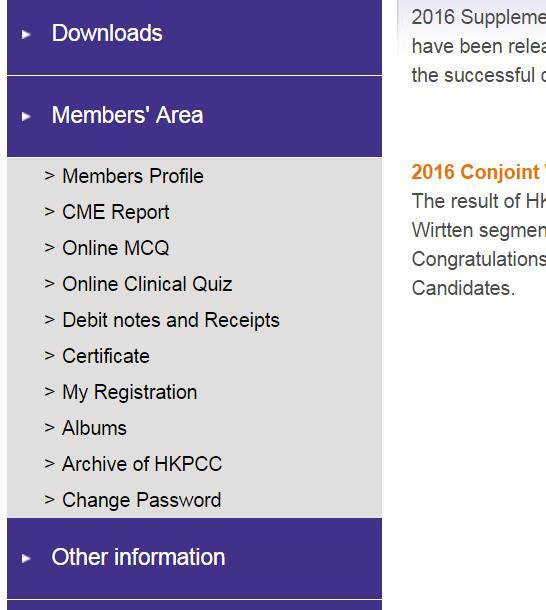 “Member Login” on the top right hand side. ii.) 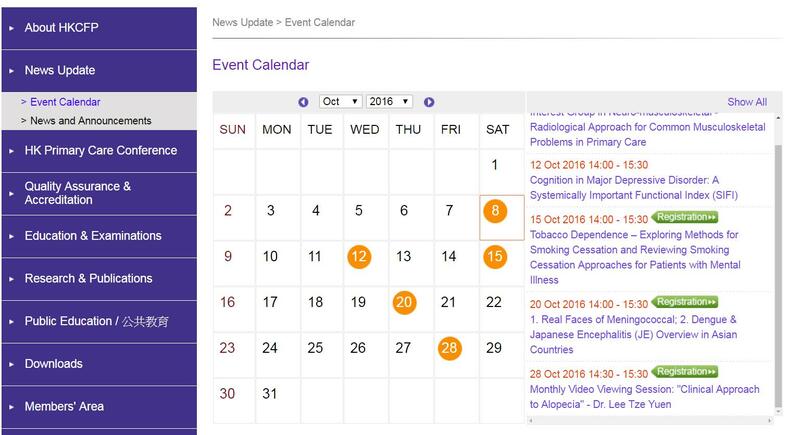 After login, click “News Update -> Event Calendar” on the left menu bar. iii.) Select the event(s) with logo. iv.) Click to register online. vi.) Another pop-up window will appear for you to submit the registration. vii.) An acknowledgement will appear after your registration. 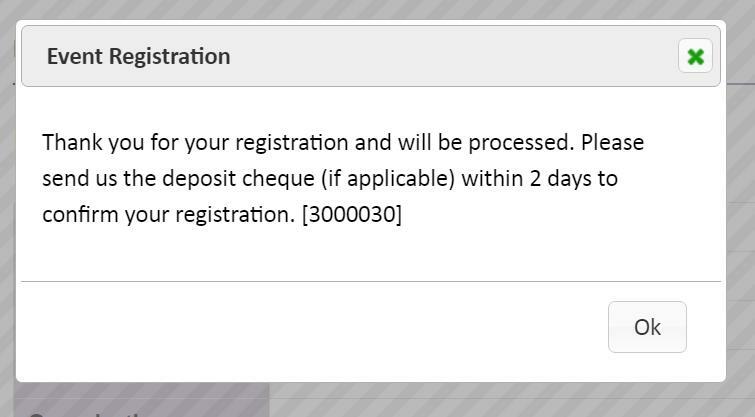 Please send us the deposit cheque (if applicable) within 2 days to confirm your registration. 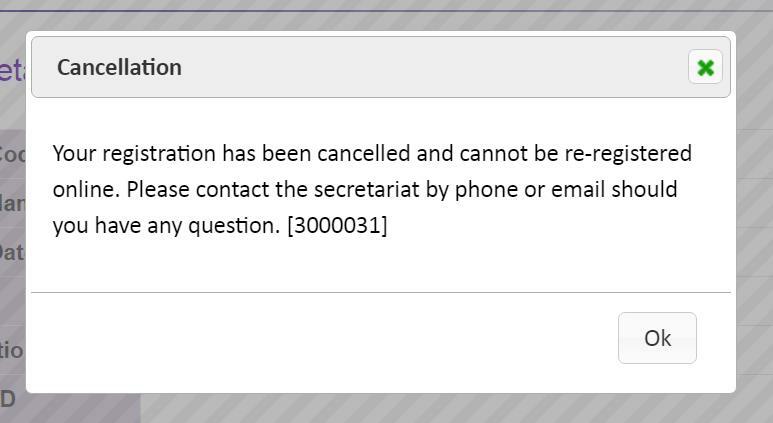 How can I cancel my registration on the college website? i.) 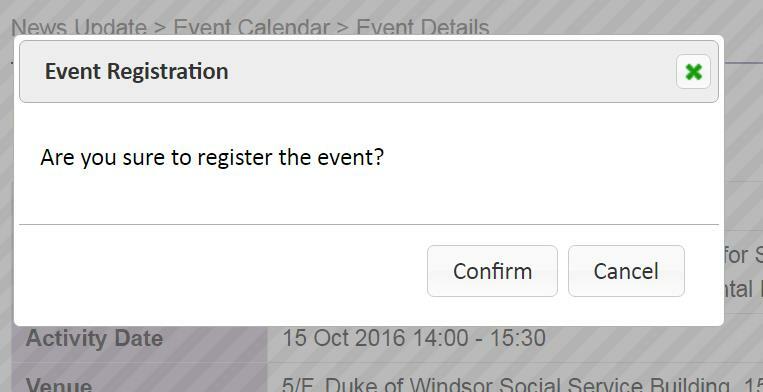 Click button on the page of the event that you would like to cancel. ii.) 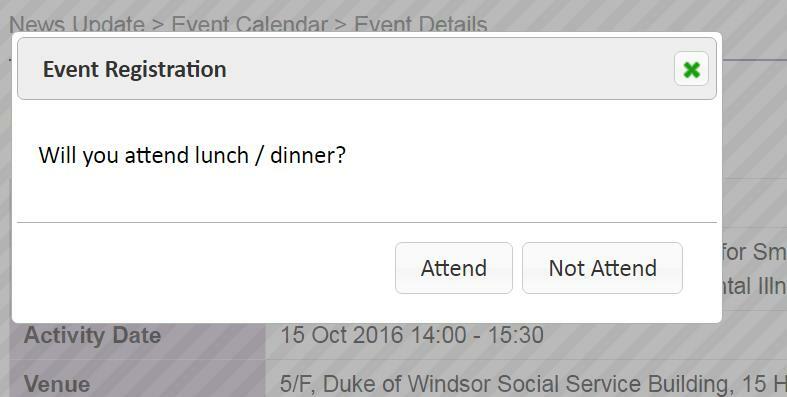 A pop-up window will appear to ask you to confirm the cancellation. iii.) An acknowledgement will appear after your cancellation. Your registration will be cancelled and cannot be re-registered online. Please contact the secretariat by phone or email should you have any question. 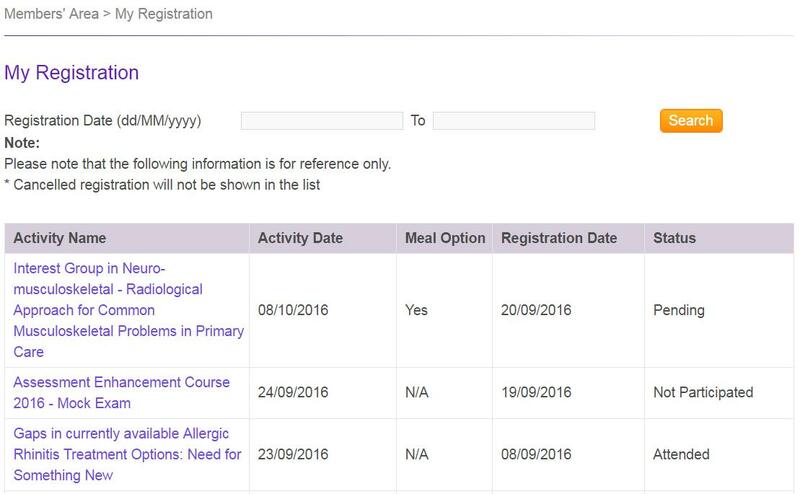 How can I check my registration status on the college website? “Not Participated” for not participated in the online registered event.